Locked away in dark reading rooms, insulated from patients and referring physicians, radiologists can nearly double their RVU production—and that translates into a hefty income differential. Working in isolation, it might seem, can be quite lucrative. But, that’s only in the short-term—which is why forward-thinking radiology thought leaders have long admonished their colleagues to not fall prey to the short term allure of becoming an invisible radiologist. Invisibility is the radiologist’s fast track to commoditization. If your patients and your referring physicians never interact with you—or worse yet, don’t even know who you are—then your job and your partners’ jobs are all in jeopardy. If you’re just an invisible radiologist who does no more than just generate reports from a hidden bunker, then it becomes pretty easy to replace you with another invisible radiologist across town, across the nation, or even across the globe. The digitization of medical imaging means that geographic incumbency no longer translates into job security. Radiology groups are being displaced at a faster pace than ever before. And, if that’s not enough, in the era of Google, invisibility carries with it even more risk. Think about your own shopping behavior. Before making a big purchase or going out to dinner, many of us regularly seek out prior customer reviews, leveraging the likes of Amazon and OpenTable. Like it or not, online consumerism has also hit healthcare—hard and fast. Patients have now figured out that Dr. Google makes free house calls 24/7/365. As many as three-quarters of patients now seek information online about their medical conditions. And, before visiting a doctor’s office, they increasingly check out that physician online in advance of their appointments. What this all means is that healthcare ratings websites have become a big business. If you don’t believe me, go check out HealthGrades, RateMDs, ZocDoc, Vitals, or even Yelp and see what your patients have to say about you. But, if you’re a radiologist and look yourself up, you’re unlikely to find very much. As a general rule, patients only rate the physicians they’ve seen—not the invisible ones. That’s what we found when we initially studied radiologists’ online reviews. Of a random sample of 1,000 diagnostic radiologists, fewer than 20 percent were profiled on any of the five most popular online physician review websites. And, only 2 percent were rated on more than one site. In our subsequent work, we’ve learned more. Studying RateMDs reviews for 1,891 radiologists across 297 cities we found that patient responses tended to be either strongly positive or strongly negative. Patients usually don’t have neutral opinions about their radiologists. The message here is an important one: when we make an impression, either good or bad, patients will react accordingly—and emphatically. So, make sure it’s good! But, it’s not just you that they’re rating—it’s the whole care environment that surrounds you. In another study of all Medicare self-designated interventional radiologists, we not unexpectedly found that factors such as how well a radiologist listens and how much time is spent during patient encounters correlates strongly with patient ratings. But, so too do factors such as office cleanliness and comfort. In fact, the factor correlating most strongly with a physician’s online ratings was patient wait times. The message: don’t keep your patients waiting. And, if you have to, make sure that the experience is pleasant so the wait doesn’t seem so long. This is all much more than just a touchy-feely academic exercise—it’s increasingly about your paycheck. The Centers for Medicare and Medicaid Services (CMS) is beginning to use patient experience surveys as a basis for payment under a number of new value-based purchasing initiatives. While future physician payment methodologies are still a work in progress, it’s pretty clear—that down the road—invisibility will not be your friend, and bad scores will be your enemy. Do you know what your patients are posting about you? It’s time to look. And, if they’re not posting anything at all, that silence should be a deafening wake up call. 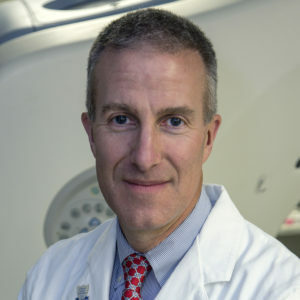 Richard Duszak, MD, is Affiliate Senior Research Fellow, Harvey L. Neiman Health Policy Institute, and Vice Chair for Health Policy and Practice, Department of Radiology and Imaging Sciences, Emory University School of Medicine. Follow him on Twitter @RichDuszak. If your patients and your referring physicians never interact with you—or worse yet, don’t even know who you are—then your job and your partners’ jobs are all in jeopardy.